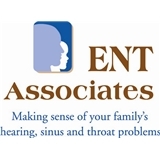 ENT Associates (Clearwater) - Book Appointment Online! Was able to get appointment right away. Office staff and doctor all very nice. Andrew was able to figure out a medical problem that I have that numerous other doctors were not able to diagnose. So happy that I found him! I highly recommend him! Comfortable, pleasant waiting room. Dr. Merchant clearly explained procedure and what he was looking for. Also, explained other possibilities and further testing. I left feeling that he will find a solution to my problematic sinus pain.